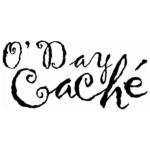 O’Day Caché opened its doors in 2004 in Fargo, North Dakota. The first idea for O’Day Caché came about during owner Cindy O’Day’s first trip to China three years prior, when she brought back a small selection of the unique gifts she encountered while traveling. Frequent returns to China soon followed, along with visits to different cities and countries around the world. With each trip, Cindy brought back more one-of-a-kind finds, and eventually turned this into O’Day Caché. Cindy, with her husband and three children, has always been a proud resident of Fargo-Moorhead, and stands by her store philosophy: to bring the best of the world to Fargo.